If like us at Acca Betting you love a good accumulator, you’ll know there are plenty of options available. That’s where we come in handy, rather than searching numerous accumulator betting sites for the best acca bonus or odds; we have all you need to know right here. For those who are new to accumulator betting, this site will provide all the information required to be able to place your accumulator bets. Be safe in the knowledge that your either getting the very best odds, bonus or even accumulator insurance. Acca betting can be done at practically every online bookies, but each bookmaker has their own advantages. Some sites offer a bonus payment on a winning accumulator up to a whopping 100%, whereas others revolutionised the accumulator by offering fractional cash out. The most popular accumulator bonus tends to be insurance based, where you’ll receive your stake back if a pre-determined number of legs let you down. But if you approach your weekend acca with an open mind you can sometimes bag yourself some huge enhanced odds. In simple terms, an accumulator is a number of bets you like the look of in a single bet. But by placing your bets in say a football accumulator rather than single bets, you stand to win much more. With such high rewards it’s only logical that the risk is also increased, as it only takes one result to spoil your accumulator; unless you’ve taken advantage of an acca insurance offer. But the main benefit of an acca bet is your initial stake can be much less than if you placed your bets individually. In all honesty choosing our favourite accumulator bonus was hard. Whilst we love the massively enhanced odds that the Betfair Accumulator bonuses likes to throw out, you can’t pick the legs yourself; they’re also only available to new players. Paddy Power’s acca insurance is also enticing, but you only stand to benefit if one result lets you down. Also as you just get your stake back it’s not very rewarding either. Our top pick for our best acca betting bonus has to be the Combi+ offered by bwin. Although this accumulator bonus only applies to a select amount of betting involving Europe’s top sporting action, you stand the chance of doubling your winnings. With this many acca betting bonuses available, it’s not hard to see why these Acca Bookies top our list. They also happen to have some of the biggest welcome bonuses for bookmakers. Every now and then we see a new bookmaker emerge out of nowhere, more often than not offering multiples. When they do you can be sure to find out all about them right here. The most recent new accumulator bookmakers to surface are Mintbet and Mansion Bet. 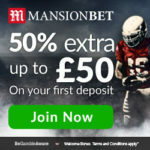 Whilst Mintbet is a new stand alone betting site, Mansion have a rich history in the gambling industry prior to launching their sportsbook; Mansion Casino has been one of the biggest online casinos for at least a decade. As soon as more bookies are launched, we will be checking out their acca bonuses immediately; so that we can bring you all the necessary information before you open an account. 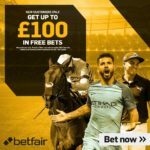 For anyone looking the best football accumulator betting tips or horse racing tips, we can certainly point you in the right direction. We don’t personally provide acca tips on this site but the good news is we know where you can get some of the best. Whatacca have been providing punters with some real top quality betting tips for a few years now, their win percentage is second to none. You can follow them on twitter or facebook, they also have a good sense of humour so there’s plenty of banter. Dave Moore Tips is a fairly recent find of ours, but he has a vast amount of knowledge when it comes to horse racing betting. Being an owner also gives him inside access to trainers and jockeys, so he offers some fairly safe accumulator betting tips. He too has a good social media following. We like a good bet ourselves, so if were looking for some inspiration; these two accumulator betting tipsters are always our first port of call.